"Every year, @umstamps offers an advanced painting student a full scholarship to the Anderson Ranch Arts Center in Aspen, Colorado. Katie Spak (@katiespakart) was given the opportunity this year. She painted this beautiful piece in a plein air painting workshop with New York artist Gregory Botts last week!" The painting faculty nominated Katie as one of two Stamps students to attend a painting workshop at the Anderson Ranch in Colorado this summer. In a cooperative agreement with the Stamps School, Anderson Ranch provides a scholarship for any studio the student selects. "Stamps Creative Work Awards are made possible through the uncommon generosity of Penny and Roe Stamps. These scholarships are intended to recognize and encourage creative work of exceptionally high quality. Each year, one award is distributed to a current Sophomore, Junior and Senior and three additional awards are granted to students who demonstrate a high level of creativity in their work at the Stamps School of Art & Design." Katie was awarded her second Stamps Creative Work Award in the Spring of 2018. "The Stamps School’s annual Undergraduate Juried Exhibition, a showcase of the best work produced by Stamps undergraduate students, is on view Friday, November 10-Saturday, December 16, 2017 in the Stamps Gallery (201 S. Division St.). 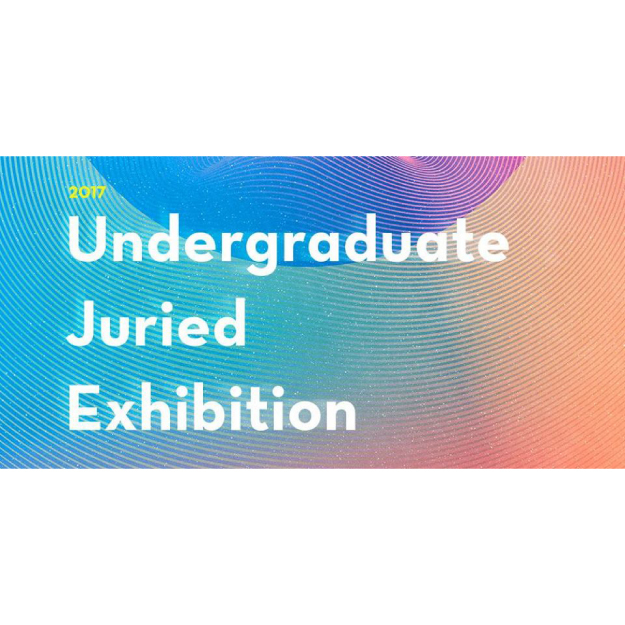 A highly anticipated Stamps School tradition, the Undergraduate Juried Exhibition provides an opportunity for the school to support students whose creative work is recognized as exceptional by invited jurors, with thousands of dollars in awards announced at the exhibition reception on Friday, November 10 from 6-8 pm. The exhibition and reception are free and open to the public." Katie was invited to show her work, Salt and Pepper (2016) at this year's juried exhibition. "Processes of Making" is an undergraduate group exhibition featuring works in a variety of medias, on view Friday, October 20 - Friday, November 3, 2017 in the Stamps Gallery. There will be an exhibition reception on Friday, October 20 from 6-8 pm. The exhibition is free and open to the public. #umichARTS Spotlight• Subject #25: “When I first enrolled, I was told I would not do well because I didn't have the prerequisites for the upper level Graphic Design program. I chose to enroll anyway, figuring that no one would stop me as long as I was willing to work hard. I went to study in Copenhagen to step outside of my comfort zone and see how Scandinavian design could inform my creative work. At first, I was skeptical about working with graphic design for an entire summer—as a painter I'm much more comfortable working with my hands. However, I learned that I could use my painting background to inform an authentic, hand-drawn logo and logotype.” Katie Spak is a junior at @umstamps and was recognized with a Design Excellence award for her work in graphic design at DIS, a non-profit study abroad foundation. Her project was a new visual identity for Spis Min Gris (Eat My Pig), an organic butcher shop in Copenhagen. "Katie Spak, a rising junior at Stamps, has been recognized with a Design Excellence award for her work in graphic design at DIS Summer 2017. Each summer, DIS, a non-profit study abroad foundation with locations in Copenhagen and Stockholm, recognizes one outstanding student in each discipline (architecture, interior architecture, furniture design, urban design, and graphic design) with a Design Excellence Award. Design Excellence Awards are given to a student who has distinguished himself/herself through diligence, commitment, academic performance, and who contributes to a positive, collaborative learning environment in class.During the summer, Katie and her studio friends have been working under the guidance of DIS Faculty Heidi Grynderup Poulsen. Their project was a ‘New visual identity for Spis Min Gris (Eat My Pig)’, an organic butcher shop in Copenhagen."